Includes unlimited streaming of From Paris With Love via the free Bandcamp app, plus high-quality download in MP3, FLAC and more. 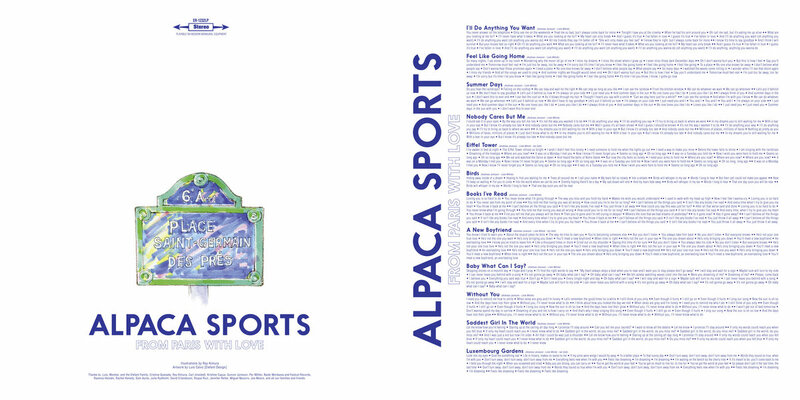 Saying that following the trajectory of Andreas Jonsson and ALPACA SPORTS is like travelling all around the world is no understatement, and in fact, sometimes it’s literal. Their videos, songs, and albums have repeatedly reflected the different cities they’ve traveled and lived in. 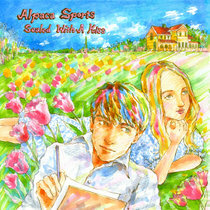 Their melodies reflect their adventurous spirit, which has grown even bigger on their new album, “From Paris With Love”. In 2014, Andreas moved to Paris, and he and Lisle Mitnik began writing songs together about what the city transmitted, about what it means to start again in a new place, and about what you have to leave behind. 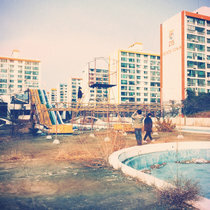 All of these feelings are captured and expressed in this collection of twelve songs full of sincerity that will help you hold onto experiences that can be forgotten and get lost with the passing of time. There have been a lot of expectations about the arrival of this second full-length album from the Swedish group, considering that their previous album, “Sealed With A Kiss” came out four years ago. The band, however, has not stopped their record-label activity, as we saw with the Mini-LP and the Singles released with Elefant. 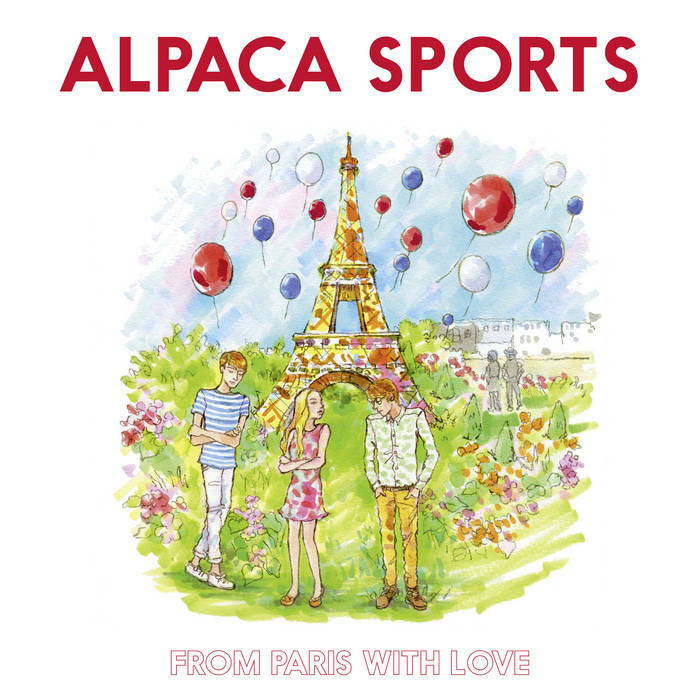 And at this moment in time, ALPACA SPORTS is possibly the best representative of that crystalline, luminous Swedish pop that the Labrador label represented back in the day with groups like CLUB 8, SAMBASSADEUR and ACID HOUSE KINGS. These twelve songs have also travelled around the world to reach their final destination. They went all the way to Brooklyn, where Gary Olson (LADYBUG TRANSISTOR) recorded the trumpets, and Hampus Öhman-Frölund (who already recorded on the previous album) recorded the drums. They stopped in Chicago, where Lisle Mitnik (TINY FIREFLIES) recorded his parts (keyboards, guitar, bass, strings...) and gave them a good push forward. The next stop was London, where Ian Catt (THE FIELD MICE, SAINT ETIENNE, TREMBLING BLUE STARS, SHAMPOO, THE SCHOOL...) mixed and produced everything, though not without first recording the album’s vocals, including two songs where, for the first time, Amanda Åkerman sings solo vocals. They went on to Tokyo, where Ray Kimura created another set of delightful illustrations for the album artwork. Lastly, they flew all the way to Spain where Elefant is releasing them on a 500-copy numbered, limited-edition, white vinyl, on CD Digipak, and digitally. Now, finally, the songs are being sent back into the open world, where they belong. All of Alpaca Sports’ trademarks are here: huge melodies, intricate arrangements and abundant sweetness. 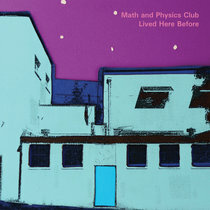 Touches of disco-soul (“I’ll Do Anything You Want”, “Summer Days”), crystalline pop (“Nobody Cares But Me”), jangle and sunshine pop (“Books I’ve Read”, “A New Boyfriend”), precious folk (“Birds”, “Baby What Can I Say?”), THE CURE meets THE SMITHS meets ABBA (“Feel Like Going Home”, “Saddest Girl In The World”), Burt Bacharach goes out partying with CAMERA OBSCURA to that well-known tower (“Eiffel Tower”), unforgettable choruses (“Without You”) and even a little evocative melancholy (“Luxembourg Gardens”). 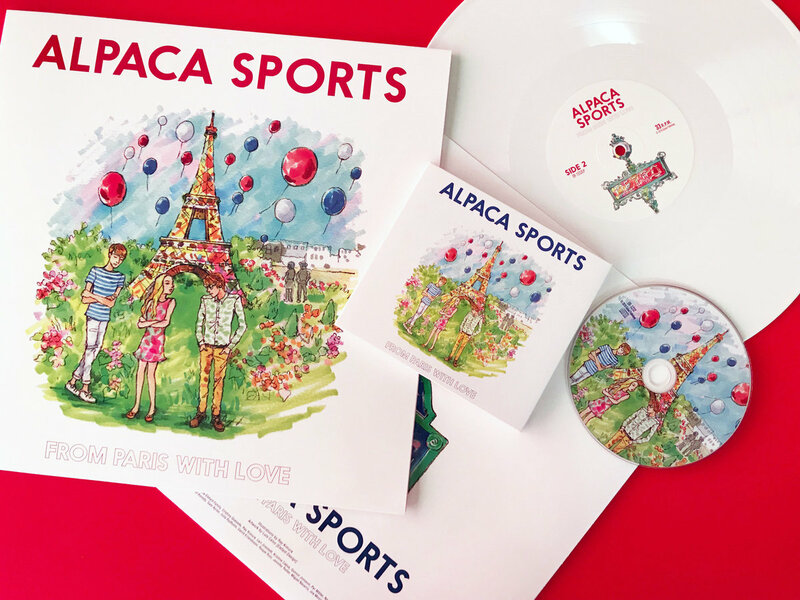 It is everything that has made ALPACA SPORTS a reference for lovers of indie pop in all the corners of the world they keep travelling across again and again. Their inspiration to make us travel farther is growing. It’s unstoppable. "She will only make you feel sad"
Do you hear the raindrops? "Can we stay here just for a while?" How could you lie to me for so long? How could you say this was just for fun? Where's the love that we had dreams of yesterday? Track Name: Baby What Can I Say? Oh baby what can I say? Were you dreaming of me? Saddest girl in the world, do you miss me?